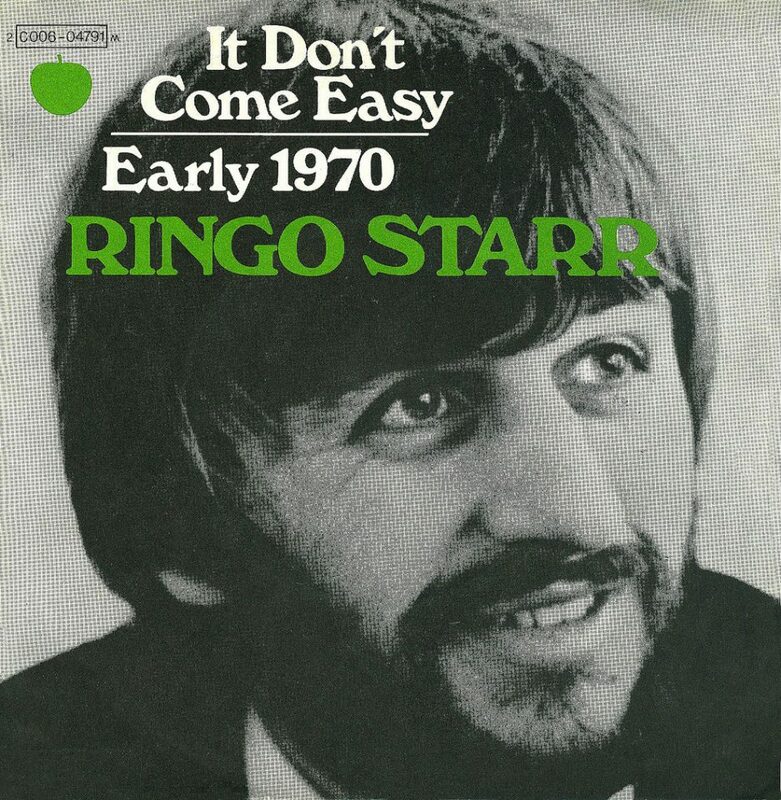 An hour after finishing a mixing session for his Sentimental Journey album, Ringo Starr returned to EMI Studios to work on his first solo UK single. The song was It Don't Come Easy, with a songwriting for Starr, but in actual fact mostly written by George Harrison. At this stage the song was known as You Gotta Pay Your Dues. The session was produced by George Martin, with Harrison on the studio floor directing the musicians. It took the musicians 20 takes to perfect the backing track, the last of which became the basis for further overdubs. Recording took place from 7pm to 12.30am. Harrison played acoustic guitar, Klaus Voormann was on bass guitar, Starr played drums, and Stephen Stills was on piano. Ringo came in with this little song, that is, he sat down and played eight bars, and said, 'That's it.' So, we all made suggestions... and it came along very nicely. George told me that the session was for Ringo's 'surprise single' and I guess that could be right. From 12.30-4am Harrison overdubbed two electric guitar tracks, including a solo, and Starr laid down his lead vocals. Stereo mixing took place from 4-4.30am. Starr re-recorded his vocals the following evening, before it was decided that a remake was in order. However, this too was discarded, and a third attempt was made on 8 March 1970.